Let’s face it, some people enjoy running, while others dread it. With so many health benefits from the actual act, you would believe that more people would run. With events, such as 5k and other marathons, there is no stop to the fun a long run can bring. 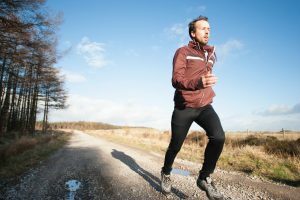 Today, I would like to go over some of the health benefits of running and why you should participate in at least one run per year. I would also like to cover the reasons why people love to run! While running, you are using a variety of muscles, including your lungs. From doing the exercise, you receive many health benefits – one being the extension of life. Because it is a great cardiovascular exercise that burns off calories, running fends off heart disease which is one of the main causes of death in America. Running can also help produce higher levels of vitamin D due to exposure of the sun while running. Other health benefits of running include muscular endurance. The muscles most commonly used are the quadriceps, the hamstrings, the gluteals, hip flexors abs, and more. When you run, it’s a repetitive exercise, which builds muscular endurance as opposed to strength, due to there being no resistance force. Running also has great mental health benefits, such as sharpening memory, improving your brain function while also preventing deterioration. It can also help you sleep better and boost your self-esteem. “Having the time to myself; feeling the air and observing the surroundings.” – Cristina. “The burn in your muscles after pushing yourself to the limit. Nothing like it.” – Barry. There are multiple marathons run each year. Some of the best marathons in the world include the Walt Disney World Marathon, which runs through four of the Disney World theme parks. Mercedes hosts a marathon every year, which always ends with the best barbecue around. Color runs are another popular marathon, where runners are basically painted throughout the run with dry paint. No matter which marathon you participate in, you’re in for loads of fun. Next time you opt out of running, think about the potential fun and health benefits of running that you could be missing out on.